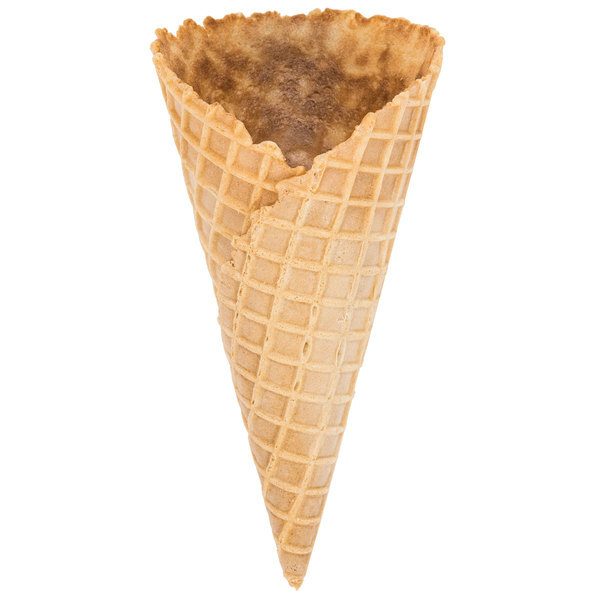 No serving of ice cream is complete without these Joy wide mouth large size waffle cones! Family owned and operated since 1918, Joy is an old-fashioned favorite that continues today as the leading ice cream cone company. 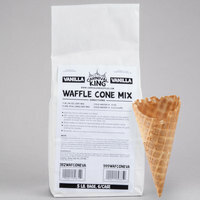 From mixing the batter to the baking process, quality and great taste is ensured with each and every Joy cone. Offer waffle cones at your carnival cart, ice cream parlor, or amusement park, and you're sure to please the crowd! 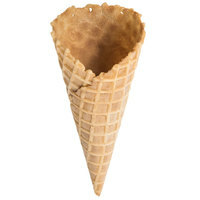 These waffle cones have a wide mouth and a large size that makes them even more profitable and appealing to your guests. 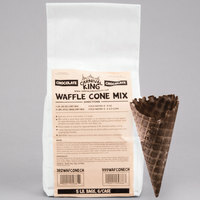 "The Joy wide mouth large waffle cones are great for double scoops are very easy to fill. The cones are always fresh and taste great." 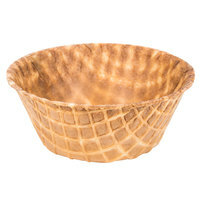 It has a classic cone shape and pointed bottom, which also makes the cone easy to hold. The wide mouth opening is perfect for treating your patrons to an extra-large sized scoop! 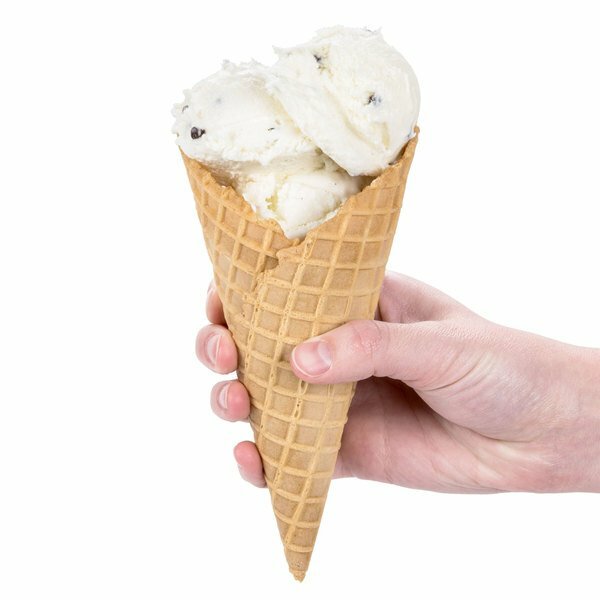 The ice cream is only half the fun, as these waffle cones will enhance the appearance, texture, and taste of your menu offerings. 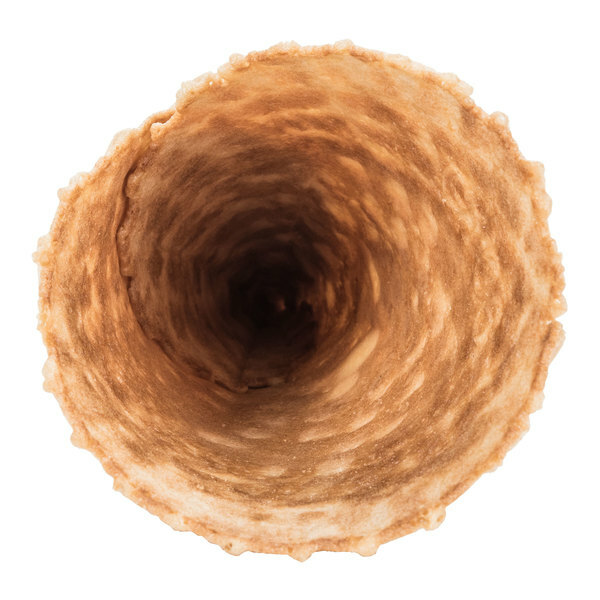 They're made with a blend of cake and pastry flours and brown sugar to produce a light-tasting cone with subtly sweet taste that does not overpower the ice cream. Many other brands use white or liquid sugar with added molasses, which gives a burnt aftertaste when compared to Joy's recipe. Key Points : Taste, Best in the Biz. Packaging, Air Cushions Bags and Contoured Foam Sheeting, so minimal breakage. 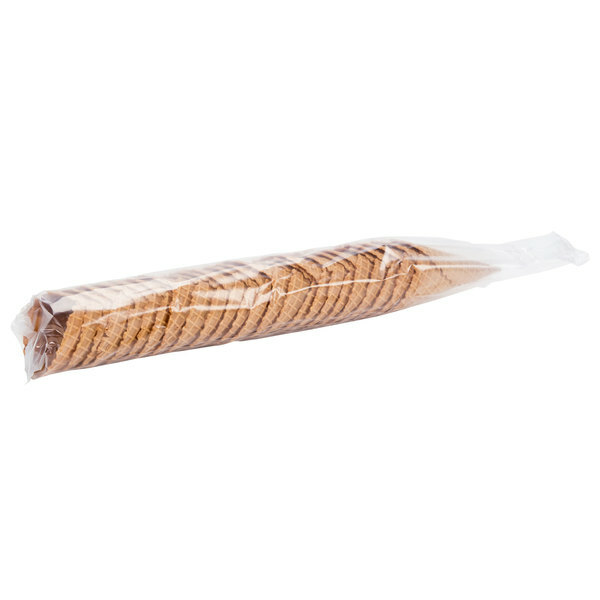 Humidity & Heat Resistance: Individually Sealed Sleeves that really do the job. Most Important; HAPPY CUSTOMERS ! We purchased these cones for our soft serve truck. They are very big cones and hold a lot. Due to shipping about 10% were damaged in shipping but that was expected. 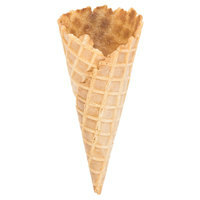 I personally did not like the taste of these cones but that is my personal preference. 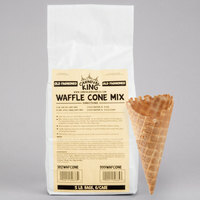 If your looking for a large waffle cone these may be for you. 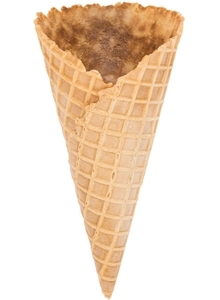 A nice large size waffle cone that is perfect for double scoops. 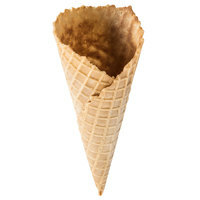 The cone is large and sturdy and makes for a great treat. Cones arrived well packaged with only two broken. These cones are large and are perfect for our frozen yogurt business. Customers can fill them up with plenty of froyo and toppings too! We use the broken cones on our topping bar so that nine are wasted. 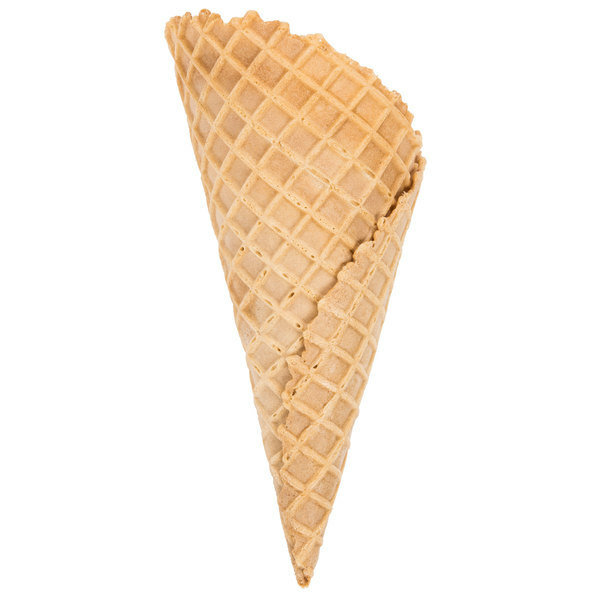 The Joy wide mouth large waffle cones are great for double scoops are very easy to fill. The cones are always fresh and taste great. Great for hard ice cream, and the taste is great too. Nice that they are packaged in sleeves to keep things fresh so you don't have to worry.